Luana Berry’s plate is full. Not only is she juggling two jobs and an internship, but she’s doing so while maintaining a 3.8 GPA at the most expensive private school in Memphis, TN. Just a few months away from being the first college graduate in her family, Luana plans to continue her education and become a Lawyer. There’s just one thing standing in the way of her dreams – her brother, Lucas Berry. Jaxon Jeffries’ plate is full. Not only does he have his own investment firm, but he’s also on the city council and running for mayor. When his parents suggest that he take a wife to soften his image and show his loving, compassionate side to voters, Jaxon is against it – until he saves Lucas Berry in exchange for the chance to have his sister Luana. With Lucas being the reason Luana had the opportunity to even attend college, she feels obligated to help her brother during his time of need. So much so that when the choice is his freedom or her singleness she agrees to stand by Jaxon’s side as his wife. Jaxon and Luana have one goal – to prove to the world that they love each other before election day. Neither desire real love, especially from each other, but the more time they spend together the more they realize love is no respecter of persons, time, deals and enemies made, or hearts that intend to be saved. I've grown somewhat used to B. Love giving me these unconventional couples--with love that shouldn't make a lick of sense but does. This story is unconventional in her normal way--but it felt pre-destined in a way I hadn't gotten from this author until now. It was more romantic than the previous books I've read--and I was semi unprepared for it. Not disappointed, unprepared. Luana is your average girl--in that she's a woman in college with a dream. With only her brother at her side due to dysfunctional upbringing, Luana is used to and fine with it being just the two of them. 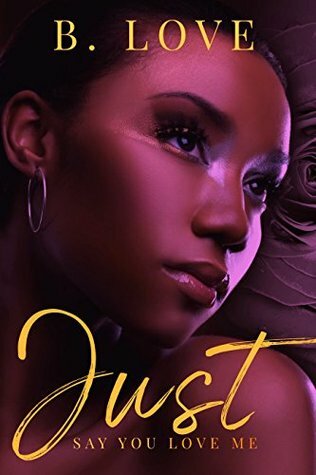 But a happenstance meeting with upcoming mayor hopeful, Jaxon--and a change in the dynamic of her brother-sister relationship changes the course of her life. For one, I love characters that can co-exist outside of a growing romance. Co-dependency is not cute, my friends. Luana and Jaxon had lives of their own--and with each other, they only bettered the other. Luana had a lot of personal issues but she never fell into the annoying, shiny trope--a lot of romance female, mc's fall into. Jaxon, on the other hand, was power and pride in black human form. He was what you want your political figures to be--willing, ready and able to do for his people by any means necessary. I was pleased with the characters themselves and happy with the pacing of their growing love. Readers will enjoy this read from the beloved B. Love. Honey, if you don't consider B. Love one of your faves, what are you even doing with your life? Anyway, again just the right amount of love, drama, and spice to keep you reading from beginning to end.